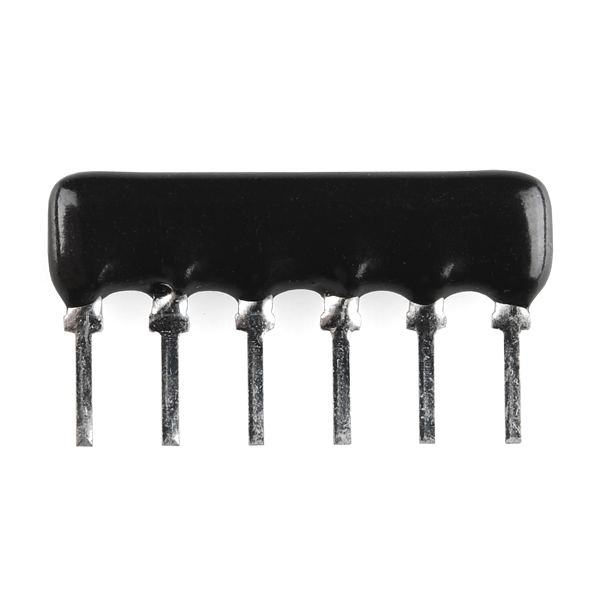 This Single In-Line component is actually 5 individual 10K Ohm resistors that share a common terminal on pin 6 (denoted with a black dot). Heh, we switched suppliers and the components are now a different color. The mark will vary, but there will always be an obvious mark by pin 1. In the above picture it's a line or bar. If you look at the second page of the datasheet, you'll see a schematic of the internal arrangement (this is the 4600X-101 version). Basically, pin 1 (with the dot) is connected by a resistor to each of the remaining pins. Please ask again if you're still not clear. 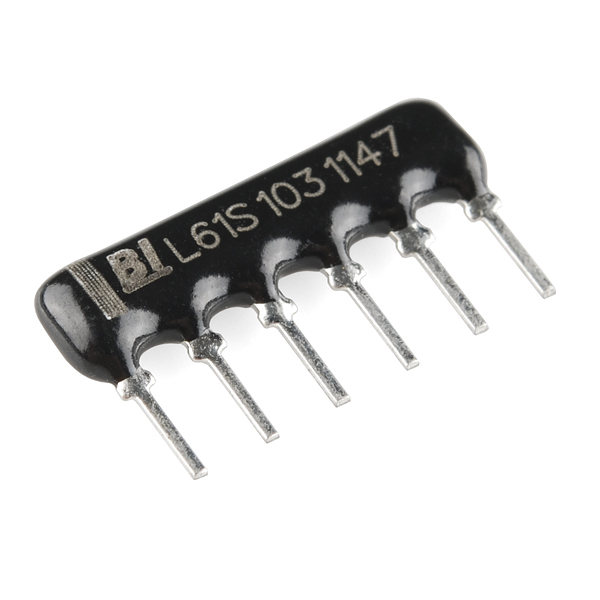 would there be a possibility to get a 1k Ohm version of this? I think there is a typo: Singe-in-line should be single-in-line, unless we need to burn this resistor network to attain the correct resistance. I'm glad you have these now! 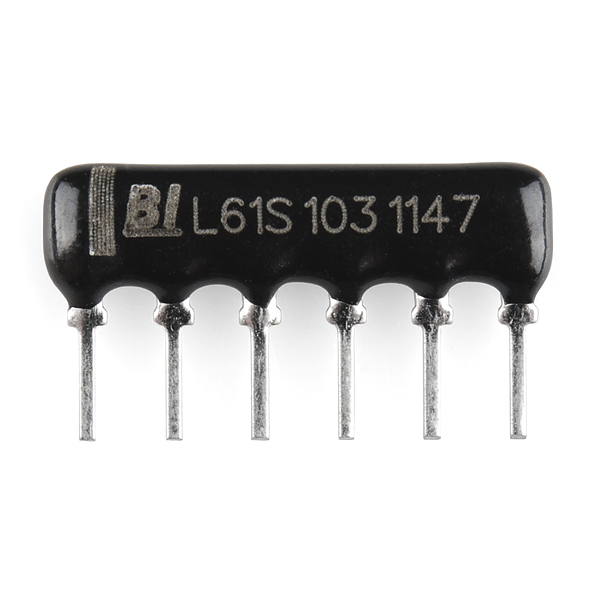 They are a lot easier to use and cleaner looking than five individual resistors. These will save you life one day. 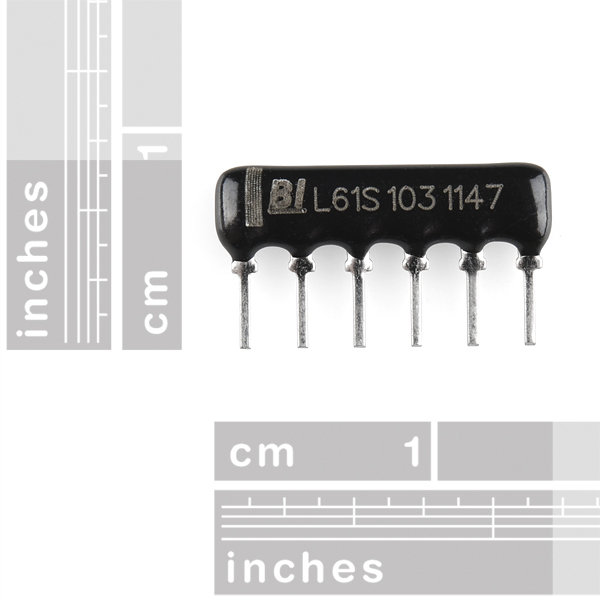 I have had several projects where I needed upwards of 10 or 15 10K resistors and these have came in handy for space-saving and minimal-component costs. And all for $0.50 each!? GET THEM... you won't regret it. You will even thank yourself in the future for it.